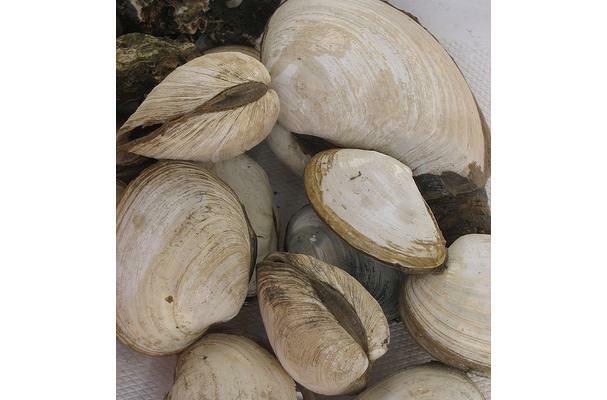 Butter clams are often eaten raw and they make good steamers, and fantastic chowders. Found on the entire West Coast of North America, including Alaska, the shells are up to five inches in length. They are heavy, oval to square-shaped and externally marked with concentric rings. When young, the Butter Clam is yellowish in color and they change to a grayish-white with age. As butter clams become larger they get more tough. To tenderize, run the tougher portions through a meat grinder.